PGiovanni Paolo Panini – Apsley House WM.1641-1948. Title: A Festival in the Piazza di Spagna, Rome. 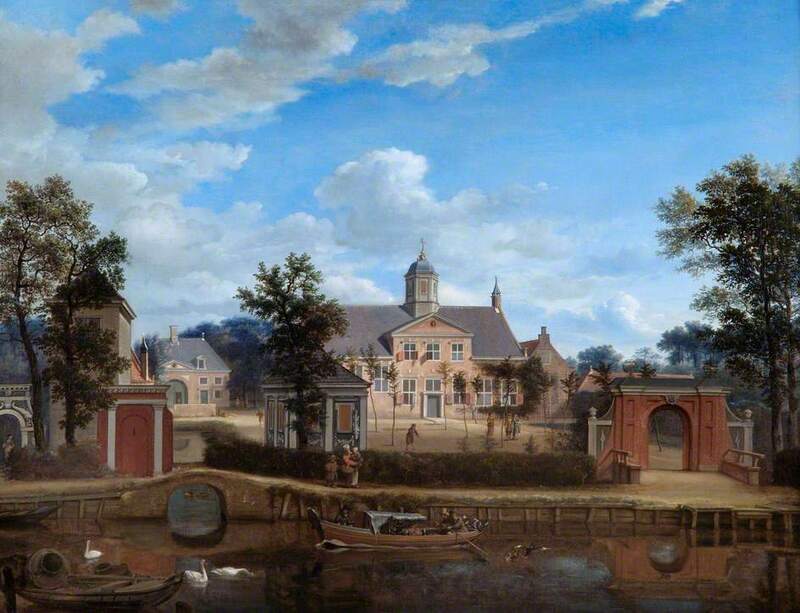 Date: 1727. Materials: oil on canvas. Dimensions: 46 x 100 cm. Nr. : Apsley House WM.1641-1948. Source: https://d3d00swyhr67nd.cloudfront.net/w944h944/WMR/WMR_APH_N070597.jpg. I have changed the light and contrast of the original photo. 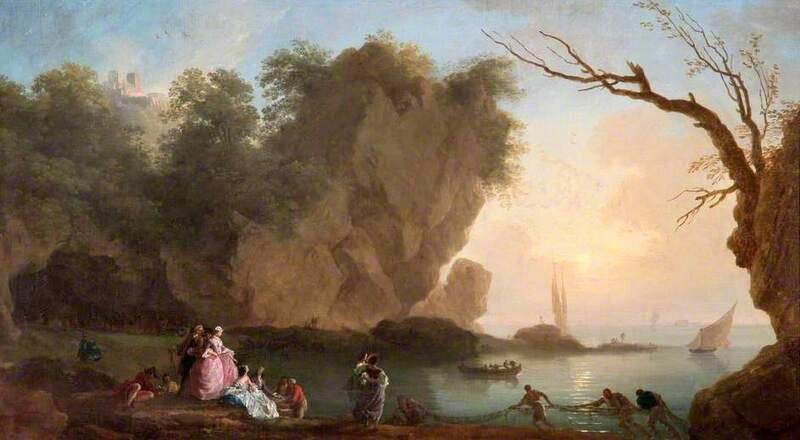 Claude-Joseph Vernet –Apsley House WM.1645-1948. Title Sunset: View over a Bay with Figures. Date: 1742. Materials: oil on canvas. Dimensions: 57 x 105 cm. Nr. : WM.1645-1948. Source: http://static.artuk.org/w944h944/WMR/WMR_APH_N070601.jpg. I have changed the light and contrast of the original photo. Materials: oil on canvas. Dimensions: 55.6 x 71.8 cm. Nr.:? Source: ichef.bbci.co.uk/arts/yourpaintings/images/paintings/aph/…. P.S. I have changed the light and the colors of the original photo. Materials: oil on oak panel. Dimensions: 47.7 x 59 cm. Inscriptions: VHeyde f i66 (last digit of date not legible; signed on wall, lower centre) Nr. : WM 1500â1948. Source: ichef.bbci.co.uk/arts/yourpaintings/images/paintings/aph/…. P.S. I have changed the light, contrast and colors of the original photo. work; thirty-seven are catalogued by Helga Wagner. 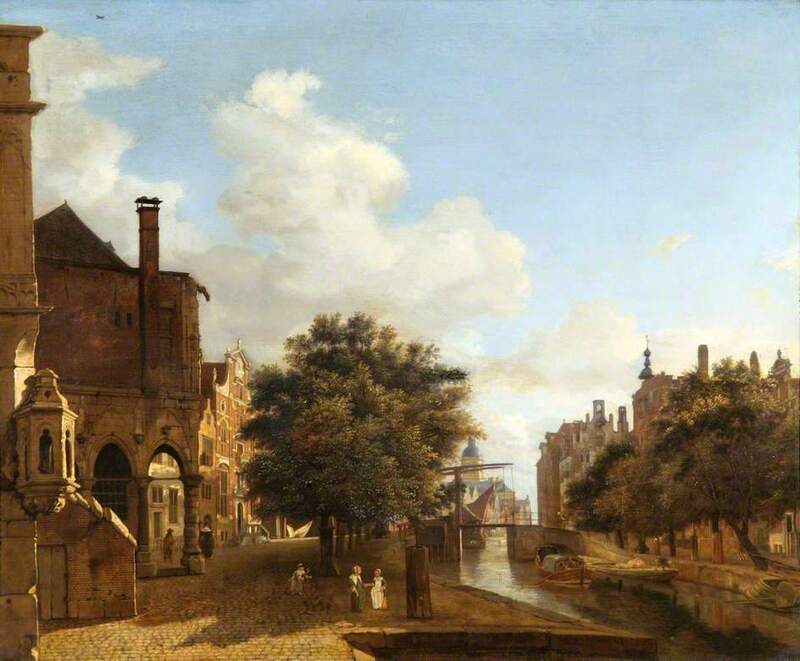 Views of Amsterdam canals were articularly subject to the creative reshuffling of familiar landmarks, yet manage to maintain a plausible semblance of reality (http://www.english-heritage.org.uk/content/imported-docs/a-e/apsleyhouseartcatalogue.pdf, p. 142).